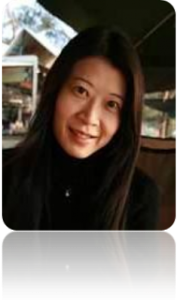 Prof. Chia-Ju Liu, National Kaohsiung Normal University, Taiwan, will be giving a talk on “Affective Learning: Evidence from Neuroscience” on Thursday 18th September. The talk will be at 4pm in Room 534, in Birkbeck Main Building. Come on find out about the emotions! All welcome. Dr. Chia-Ju Liu is currently the Dean of College of Science, the Director of Science Education Center and Educational Neuroscience Lab at National Kaohsiung Normal University. Her research recently focuses on educational neuroscience, including cognitive science and science learning, scientific thinking and processes. Her current research projects are “The influences of different dimensions of science representations on students’ understanding of science concepts”, “The study of consisted elements of scientific creativity with ERP”, “The study on the effects of spatial ability and visual representation on forming mental image in learning science”, “Exploring the role of imagery ability in learning science concept”, and “Nonlinear analysis of brain dynamics”. These research aims to explore and characterise students’ scientific learning practices and reasoning processes based on educational neuroscience using EEG/ERPs. With the Eye Tracking methodology, Prof. Liu aims to identify learners’ exact scientific learning process, and enhance their science learning experience. Her work has been published in several SCI, SSCI, and TSSCI journals. Her research work has been published in International Journal of Science Education, International Journal of Science and Mathematics Education, Journal of Science Education and Technology, Cyberpsychology, Behavior, and Social Networking, Neuroscience Letters, Learning Environments Research and other educational journal.